Annual Charity Pinball Tournament to raise scholarship funds for CISD Seniors. Entry fee is a suggested $21 with all proceeds except the mandatory $1 IFPA fee going to charity. Three divisions of finals with trophies in each division. This is a group match play, social tournament with playoffs to follow. Secondarily, the DFW pinball league will also host their 2019 season opener at this event. Best score format - qualify any time you want. This would also cost $1 to play in with unlimited retries during the event. 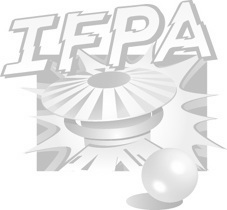 PLEASE reach out to Louis Marx or Ken Kemp for the address OR look at the IFPA calendar as its posted there as well. As always, All skill levels welcome!! It's about having fun, eating, socializing, and playing pinball!! We've had players as young as 3 years old & as old as 81 at our events. Come Join us! 1) Limited Seating. Might bring a lawn chair. 2) This is a family friendly event and is sometimes attended by graduating seniors/school students please behave accordingly.